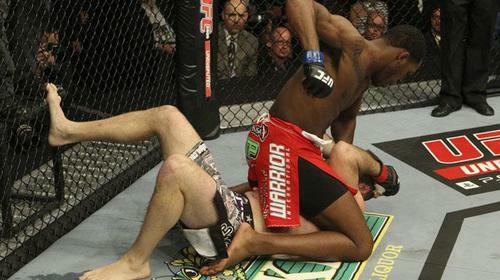 Admitting that he took Alexander Gustafson’s challenge lightly, Jon Jones said the 2014 Fight of the Year allowed him to prove that even when bloodied, battered and stripped of his remarkable gifts, his key attribute remained: courage. 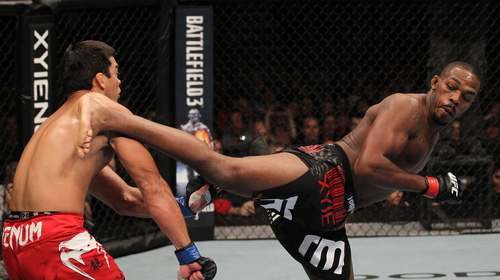 Fightography: Jon Jones Dec 18, 2014 (7:43) From the moment Jon Jones became a professional mixed martial artist in the spring of 2008, it was obvious he would be extremely difficult to defeat. 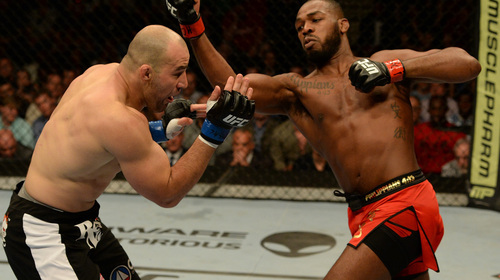 In the years that followed Jones barely lost a single round, even when facing world championship level opposition. That changed on September 21, 2013, when “Bones” faced Alexander Gustafson. In this Fightography, “Bones” admits for the first time that he took the 6ft 5inch Swede lightly and this lack of respect almost cost him the UFC title. 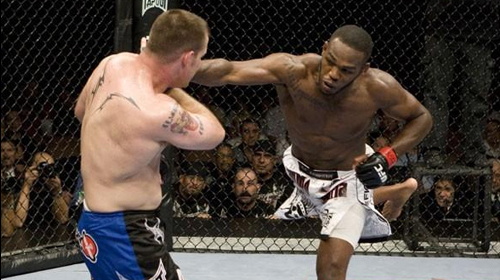 Looking back on one of the greatest fights of all time, Jones said it was a “privilege” to prove that even when bloodied, battered and stripped of his remarkable gifts, his key attribute remained: the heart of a champion. 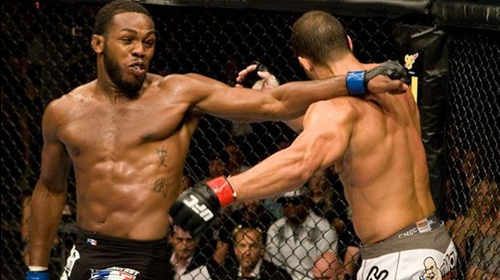 Jon Jones vs. Andre Gusmao UFC 87 Aug 9, 2008 (25:30) Andre Gusmao and Jon Jones were two highly touted prospects with undefeated records. Gusmao was a Brazilian fighter who combined Jiu-Jitsu and Capoeira. On the other hand, Jones was a JUCO wrestling champion whose length produced some creative striking as well. 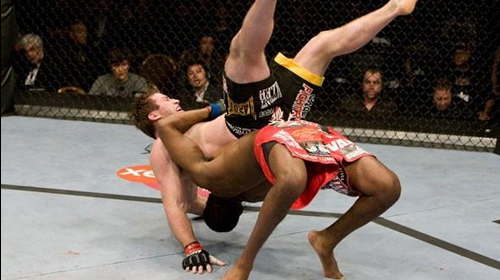 Jon Jones vs Stephan Bonnar UFC 94 Jan 31, 2009 (22:33) Stephan Bonnar returned to the Octagon after a long layoff to face the up-and-coming Jon Jones in a light heavyweight battle. Jon Jones vs. Jake O'Brien UFC 100 Jul 11, 2009 (14:37) Jon Jones made his third Octagon appearance and looked to keep his perfect record alive as he faced Jake O’Brien. With all the buzz surrounding Jones, O’Brien was looking to derail the hype train with an upset victory. 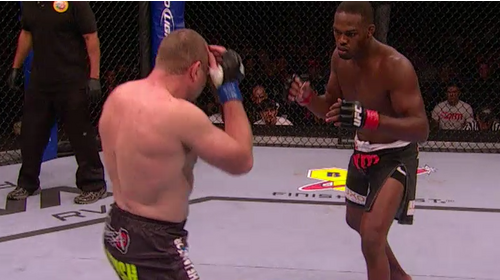 Matt Hamill vs. Jon Jones TUF 10 Finale Dec 5, 2009 (12:20) In one of the most controversial stoppages in UFC history, Jon Jones’s unbeaten record was destroyed forever in a fight that remains hotly debated to this day. Jon Jones vs. Vladimir Matyushenko UFC Live 2 Aug 1, 2010 (13:57) After both light-heavyweights found success at the first UFC Live event, salty veteran & former Soviet National Wrestling Champion Vladimir “The Janitor” Matyushenko was set to clash with the 10-1, recent Knockout of the Night winner, Jon Jones. 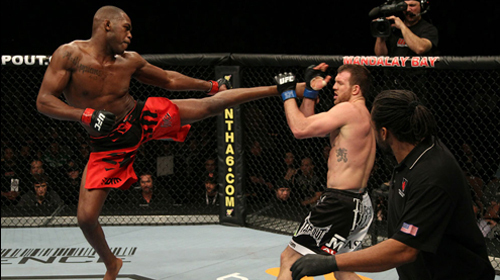 Jon Jones vs. Ryan Bader UFC 126 Feb 5, 2011 (16:15) The future of the light heavyweight division was bright as rising stars Jon Jones and Ryan Bader were set to compete for years to come. Before either could make their title run, they prepared to face each other for the unofficial title as the division's top prospect. Jon Jones vs. Rampage Jackson UFC 135 Sep 24, 2011 (39:54) The breakout star of 2011, light heavyweight champion Jon “Bones” Jones looked for another spectacular victory when he defended his belt for the first time against his toughest challenge yet, former title holder Quinton “Rampage” Jackson. Jon Jones vs. Lyoto Machida UFC 140 Dec 10, 2011 (7:45) Jon Jones and Lyoto Machida's dynamic styles had baffled opponents and allowed them to sail to the top of the light heavyweight division. At UFC 140, they met with the light heavyweight title on the line. Jon Jones vs. Rashad Evans UFC 145 Apr 21, 2012 (49:58) The most highly-anticipated light heavyweight title fight of all-time came to Atlanta, as UFC 205-pound champion Jon “Bones” Jones defended his crown for the third time against former title holder “Suga” Rashad Evans. 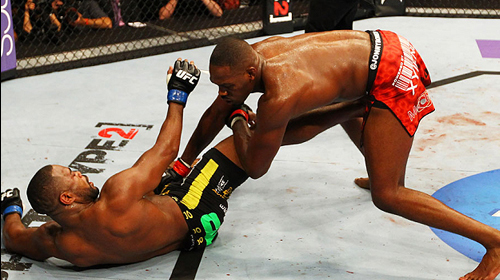 Jon Jones vs Vitor Belfort UFC 152 Sep 22, 2012 (37:10) The youngest champion in UFC history, Light Heavyweight Jon "Bones" Jones had taken out legend after legend. At UFC 152, he took on another heavy hitting lion, Vitor "Phenom" Belfort, who was coming off a big win over Anthony Johnson. 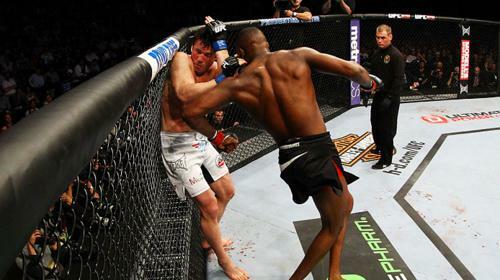 Jon Jones vs. Chael Sonnen UFC 159 Apr 27, 2013 (22:09) Reigning UFC 205lbs champ Jones entered the Octagon angry after months of listening to Sonnen’s cutting insults. The results were stunningly impressive. 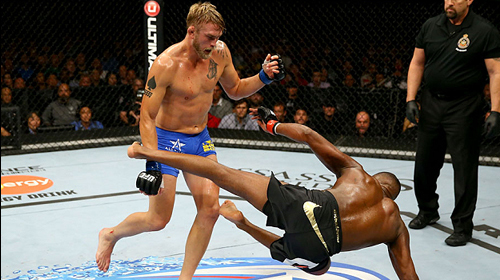 Jon Jones vs Alexander Gustafsson UFC 165 Sep 21, 2013 (48:48) The undisputed and virtually undefeated UFC light heavyweight champion Jon ‘Bones’ Jones defended his belt against Swedish contender Alexander Gustafsson in the main event at UFC 165. 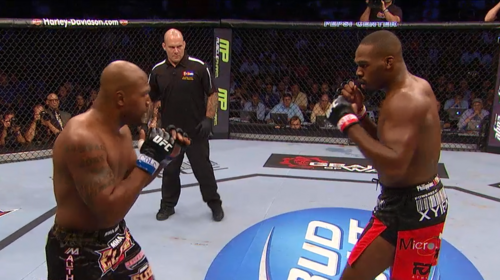 Jon Jones vs. Glover Teixeira UFC 172 Apr 26, 2014 (51:38) UFC light heavyweight champion Jon "Bones" Jones aimed to defend his title for the seventh time against Brazilian powerhouse Glover Teixeira. 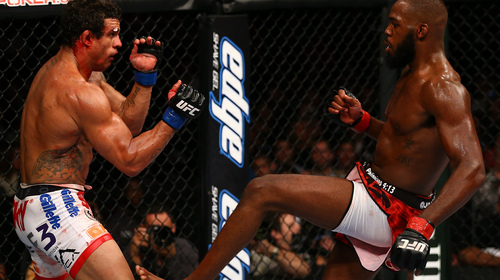 Jones had defeated an impressive list of opponents since becoming the youngest champion in UFC history in 2011, but in the veteran Teixeira, he would face a dangerous challenger who hadn't lost in nearly nine years.